The Colombo International Maritime Conference (CIMC) with the support of the Government of Sri Lanka is in the process of organizing the first ever Colombo International Logistics Conference which is scheduled to be held on 01 to 02 August 2019 at the Galadari Hotel, Colombo, Sri Lanka. The event is expected to highlight the logistics and freight forwarding related companies and organizations both local and international to showcase Sri Lanka’s potential as a logistical hub. 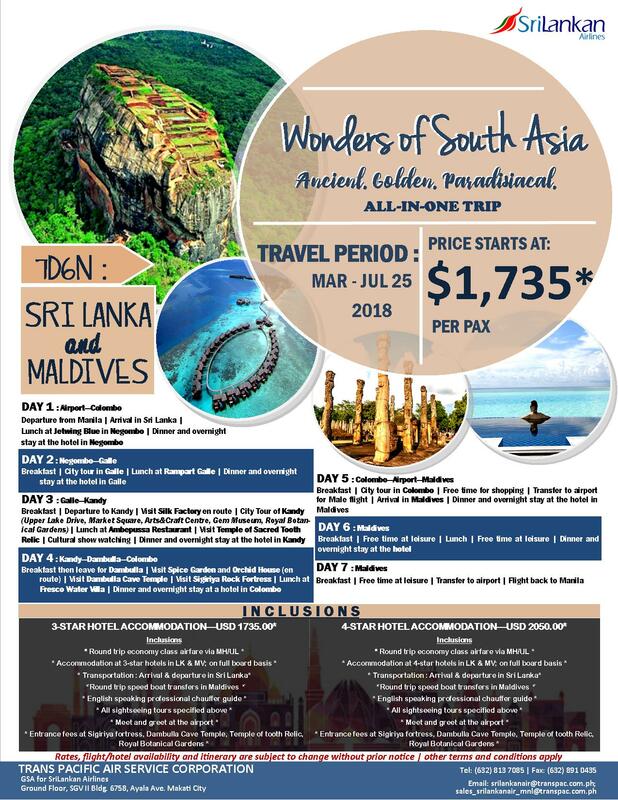 Sri Lanka is known as a mega transshipment location in South Asia and is the fastest growing one among major ports of the world with the rank of 11th best connected port in the world of shipping. 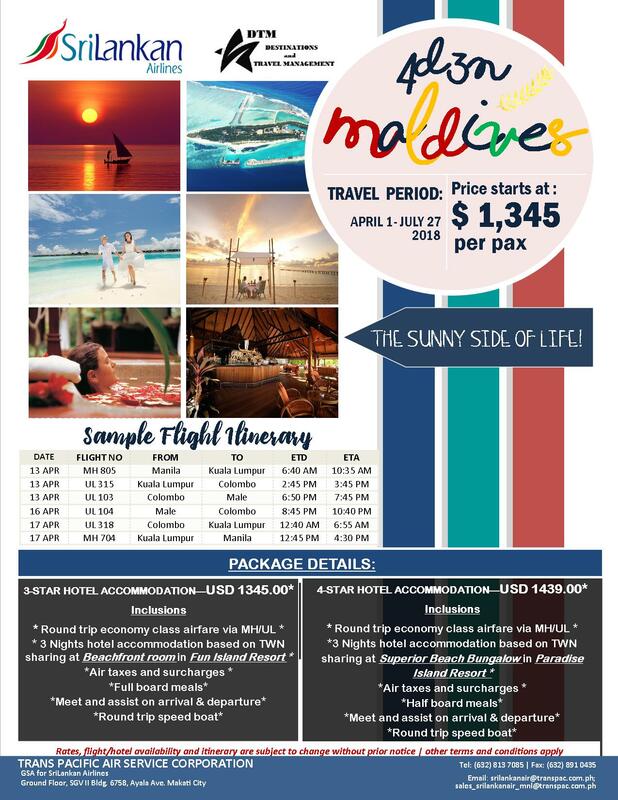 For more information, interested parties may contact CIMC Events at Tel. Nos. 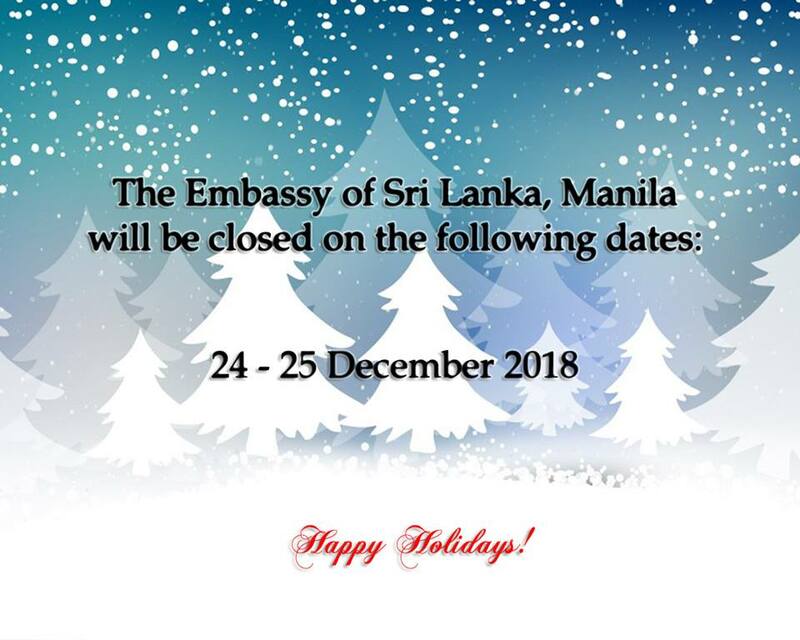 +94 773820703 / +94 113560844, email at info@cimc.lk , visit their website at www.cimc.lk , or contact the Embassy of Sri Lanka in Manila at Tel. No. 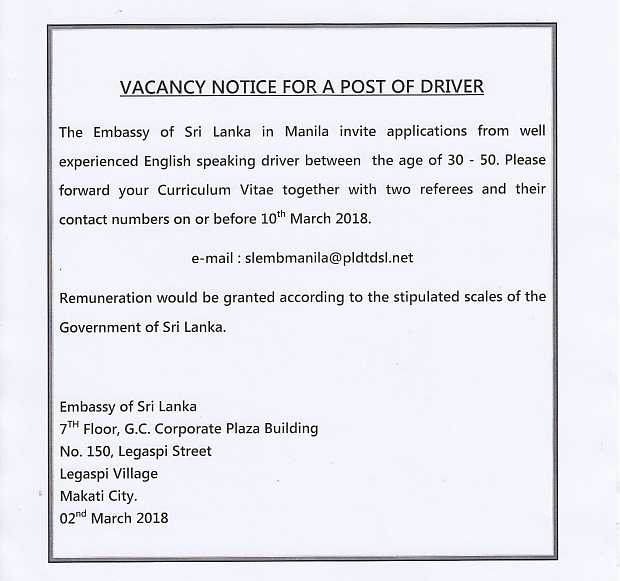 (02) 812-0124 to 25, email at slemb.manila@mfa.gov.lk. 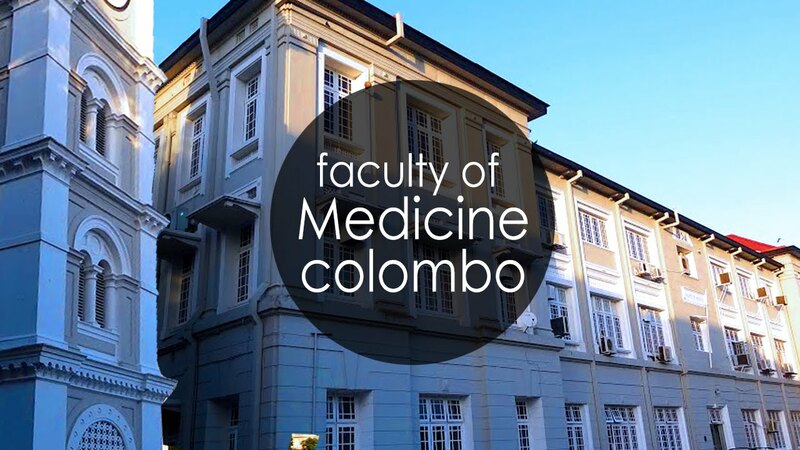 The Faculty of Medicine of the University of Colombo, Sri Lanka is now calling application for the MBBS Degree Program for foreign students. 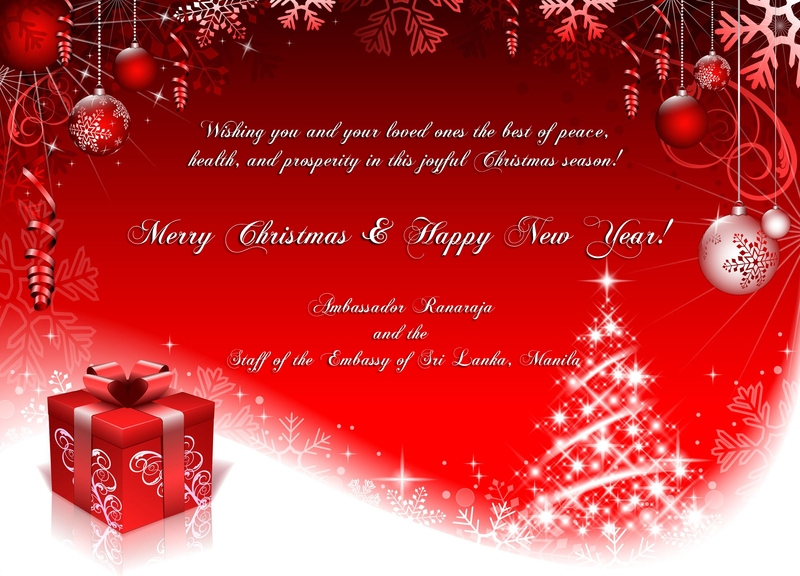 Application can be downloaded in the website of University Grant Commission of Sri Lanka at www.ugc.ac.lk. 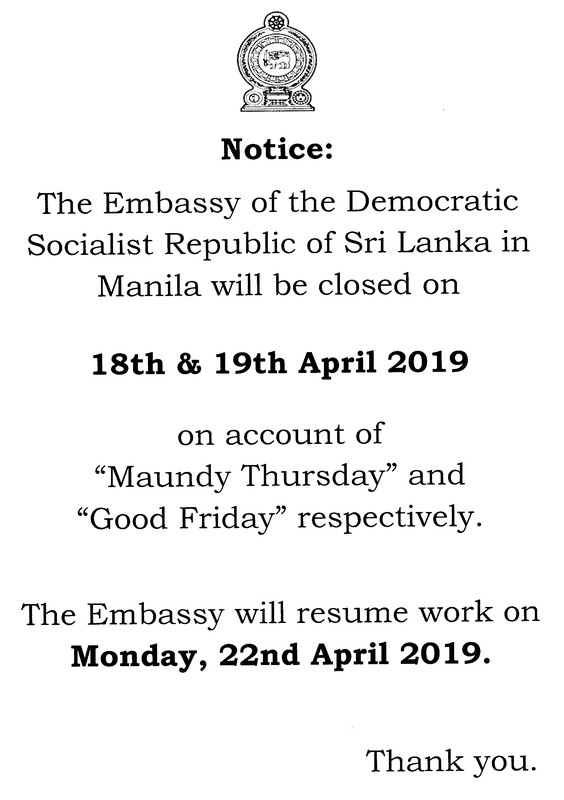 The Embassy will resume work on Wednesday, 26th December 2018. 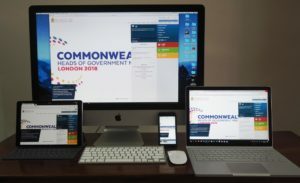 The new interface has been designed to be mobile responsive and accessible across different devices, platforms and browsers; to provide a more user-friendly interface for the web-user and public. 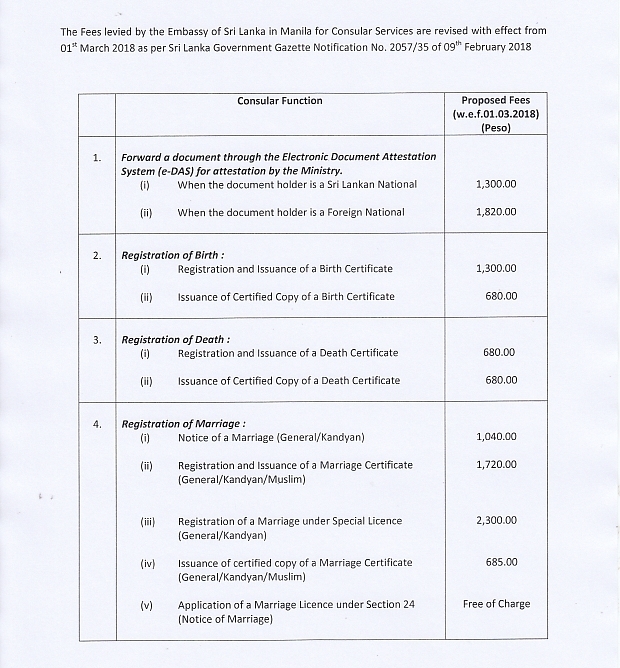 Comprehensive updated information in important sections such as key profiles, contact details of ministry officials and divisions; contact details of Sri Lanka Missions abroad and Foreign Missions / Organizations in Sri Lanka; and detailed information on the range of consular services available to the public, are presently online. 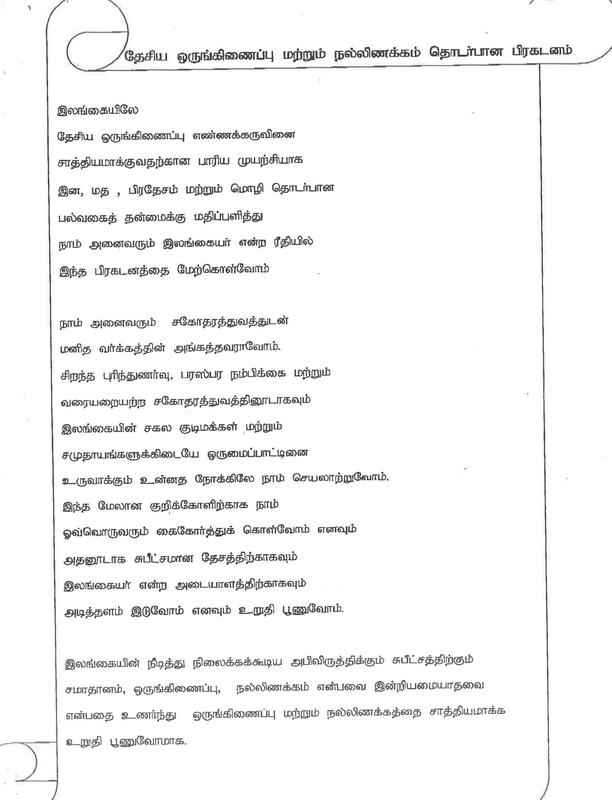 These sections will also be made available in Sinhala and Tamil, shortly. 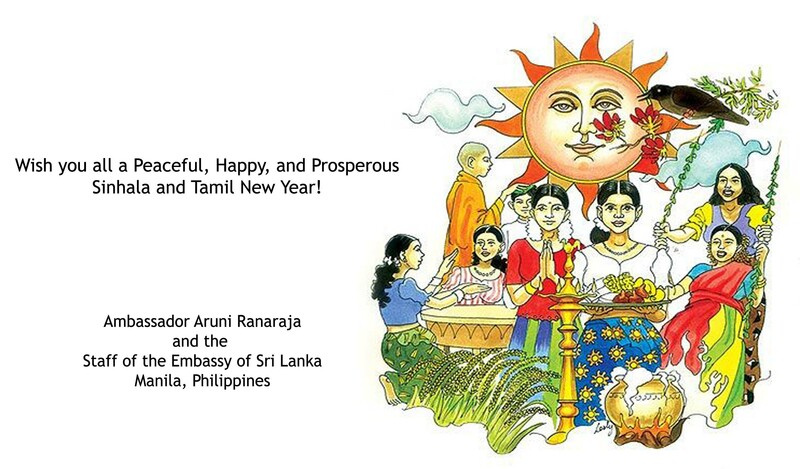 Contact details of Sri Lanka Missions abroad are listed and categorized for quick access, and can be searched on a map indicating regions of the world. With a view to providing better information to the public, the Mission entry also indicates the current time of the country where the Mission is located, and the time difference from where the user has logged into the site. The new interface is part of the Ministry’s ongoing efforts to improve service delivery and to provide information to the general public. 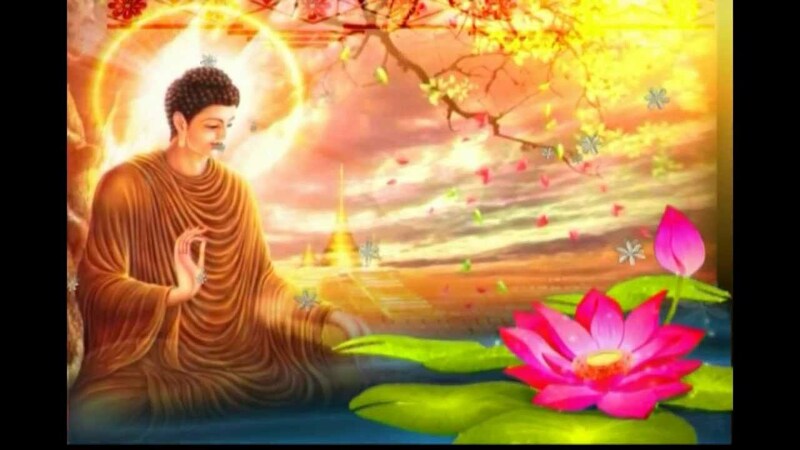 The teachings of the Buddha are observed and illustrated on Vesak, which signifies the Birth, Enlightenment and Parinibbāna of the Great Teacher. 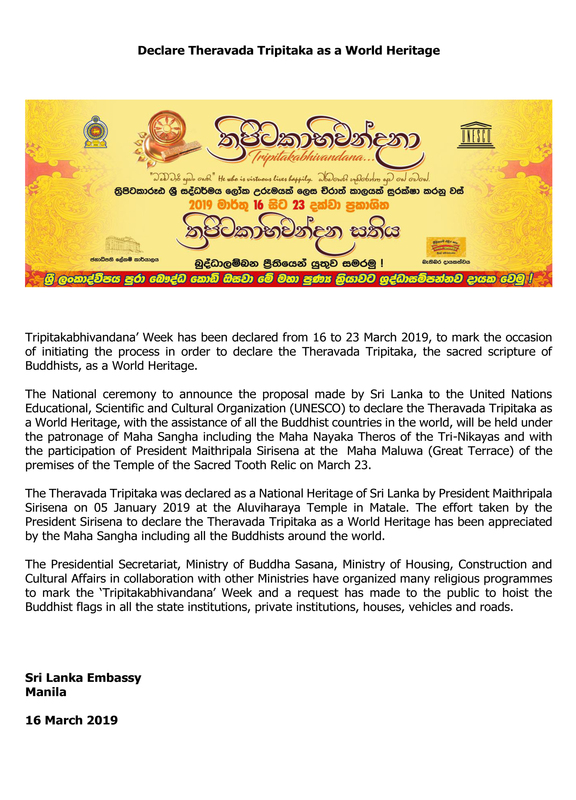 Buddha Rashmi Vesak, which is the national festival organised by the Gangaramaya Temple and Prime Minister’s Office, will this year too lighten up the city of Colombo in vibrant and spiritual illuminations from April 29th, 30th & May 01st, 02nd at the Hunupitiya, Gangaramaya Temple and the Temple Trees. 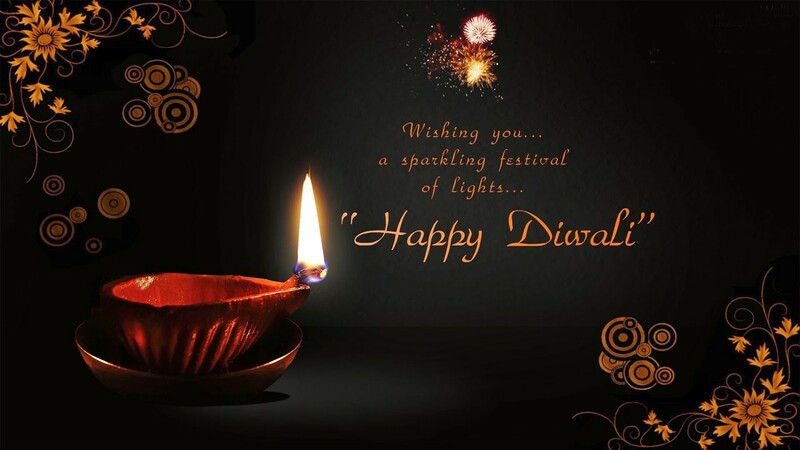 The event will reflect the teachings of Lord Buddha and traditional Buddhist culture. 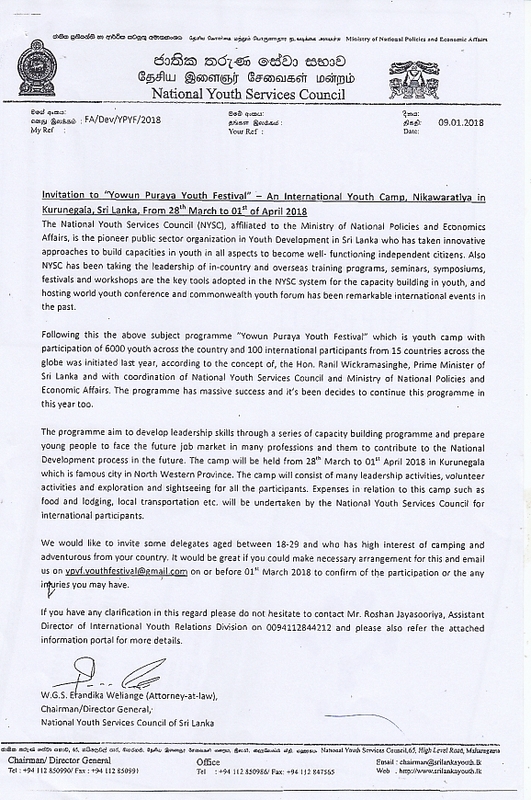 This festival will consist of numerous events such as exposition of Lord Buddha’s relics from Saranath, India, Gandara relics from Taxila, Pakistan and historical Buddhist artefacts from Nepal. 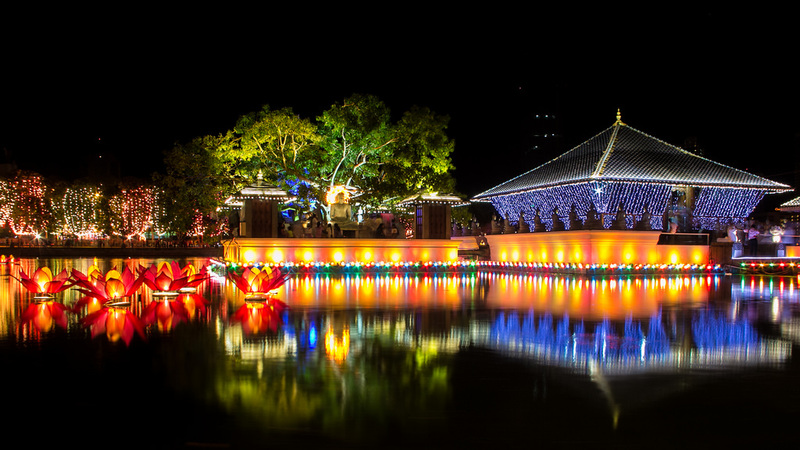 The organizers will decorate with Vesak lanterns, Pandols and Vesak illuminations highlighting the Buddhist historical stories in the vicinity of Hunupitiya Gangaramaya Temple and streets in Colombo. 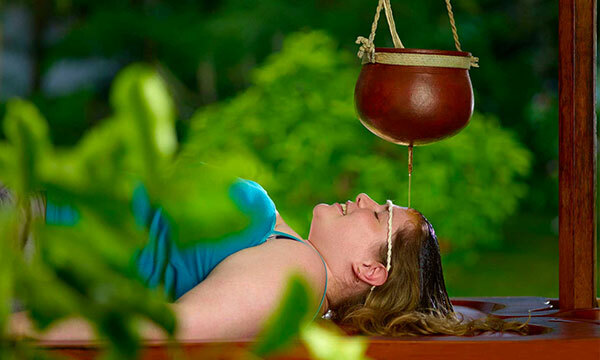 The National Chamber of Commerce of Sri Lanka in association with the Ministry of Health and Indigenous Medicine is in the process of organizing the “Ayurveda Expo 2018” – International Indigenous Healthcare Exhibition which will be held on 13, 14, & 15 July 2018 at the Bandaranaike Memorial International Conference Hall in Colombo, Sri Lanka. 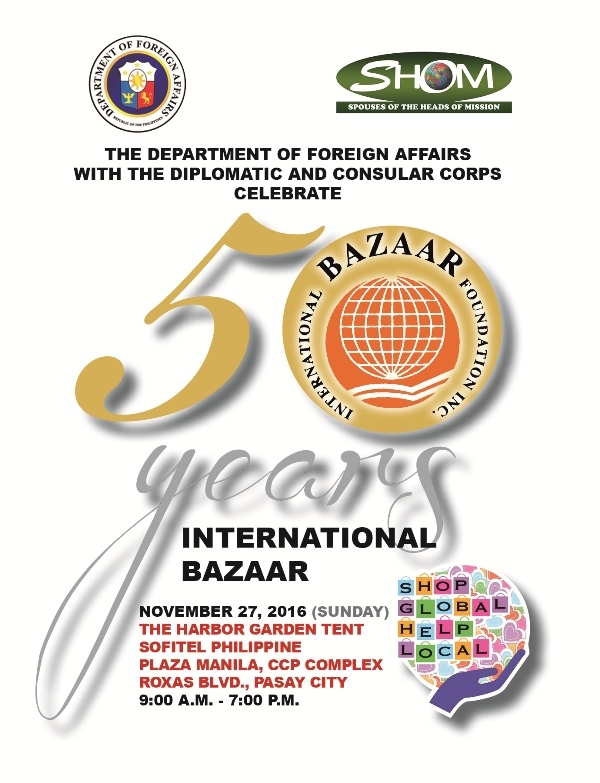 The expo will be an opportunity for interested Filipinos who are focused on manufacturing of Ayurveda/herbal, nature friendly health foods and beverages, health resorts/spas, Ayurveda Hospitals/clinics, Educational Institutions,Yoga, acupuncture, Homeopathy, beauty care products, herbal cosmetic products, etc. 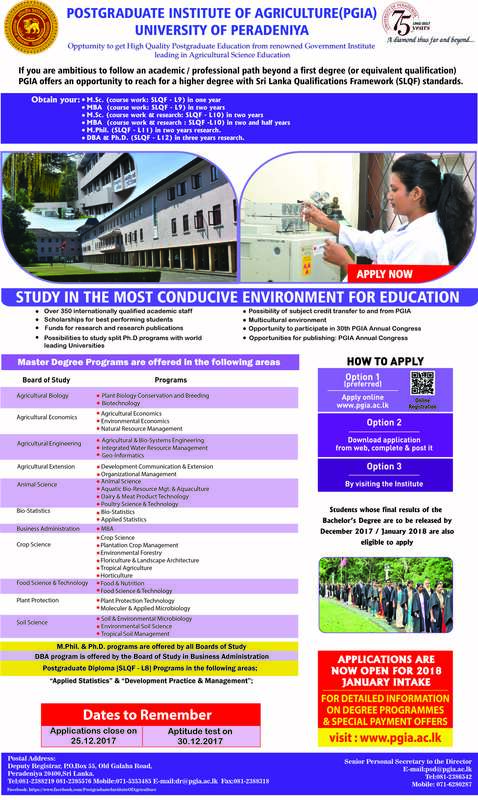 The Government of Sri Lanka is now calling applications for the Presidential Scholarships for Undergraduate Studies for Foreign Students for the academic year 2017/18. 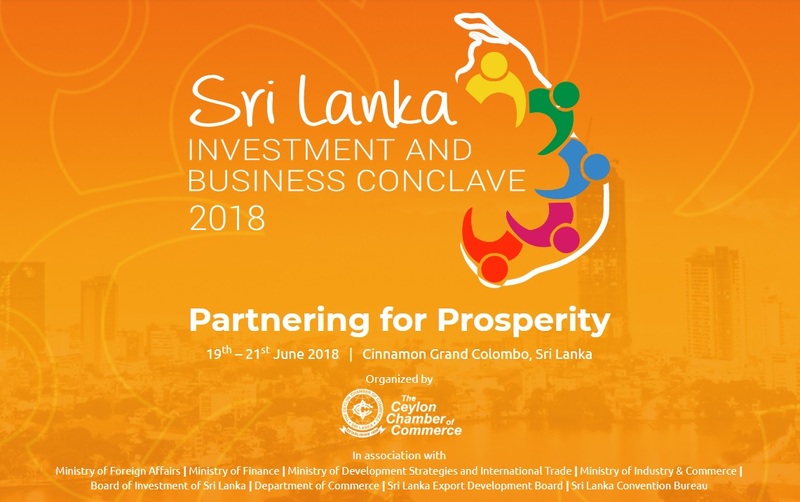 Ceylon Chamber of Commerce (CCC) together with the Ministry of Foreign Affairs and other relevant organizations is organizing “Sri Lanka Investment and Business Conclave 2018”, from 19th to 21st June 2018 in Colombo, Sri Lanka. 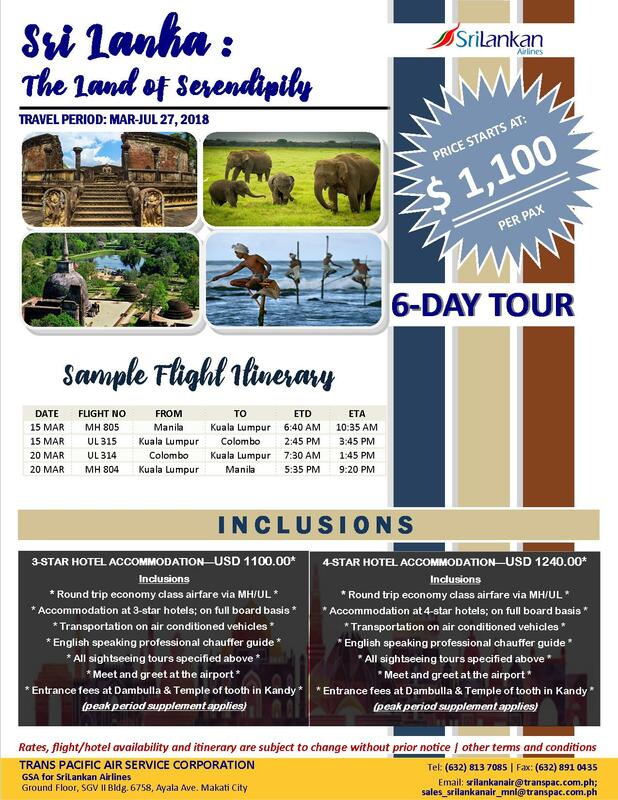 This will be an opportunity for potential investors to learn information necessary for investments in Sri Lanka and create business linkages between Sri Lanka and Philippine businessmen. 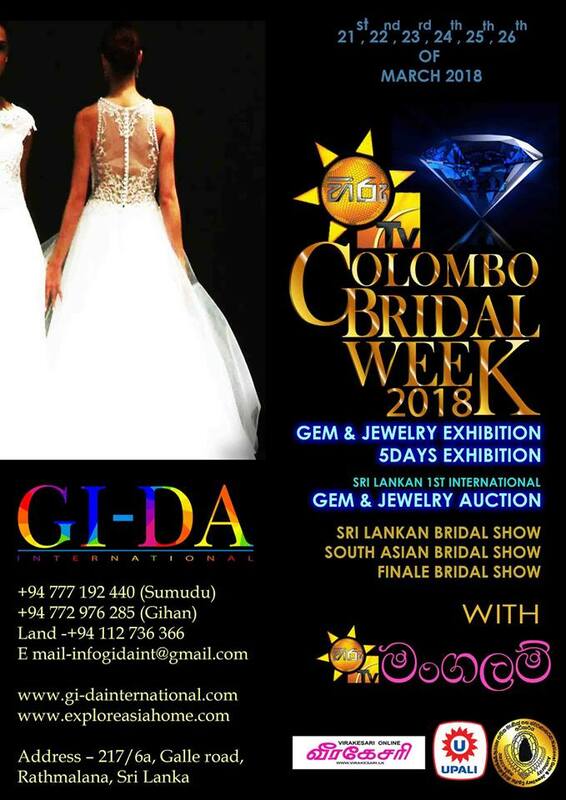 Colombo Bridal Week was organized by M/s GIDA International (Pvt) Ltd. in partnership with National Gem and Jewellery Authority of Sri Lanka will be held at Hotel Galadari and the Nelum Pokuna Mahinda Rajapaksha Theatre, Colombo, Sri Lanka from 21st March to 26th March 2018. 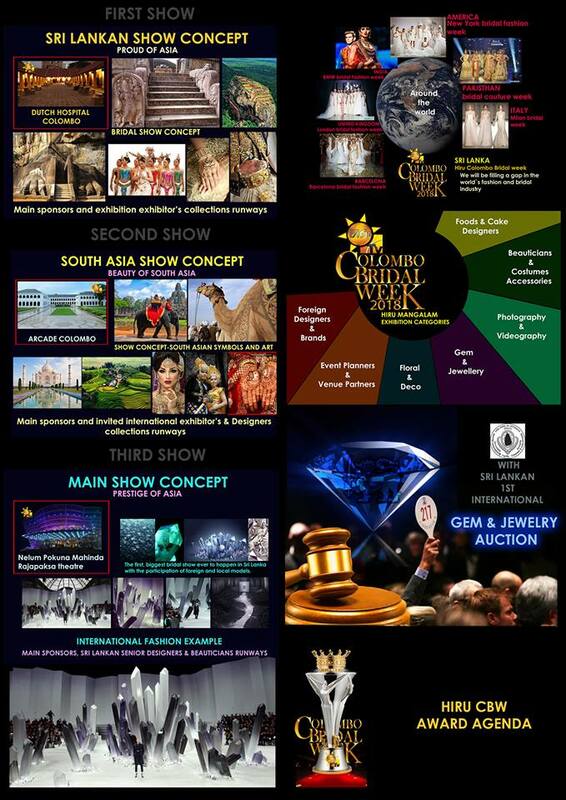 This event will include an International Gem Show, a Sri Lankan Jewellery Show, a Gem Auction and a Jewellery Branding Model Show. 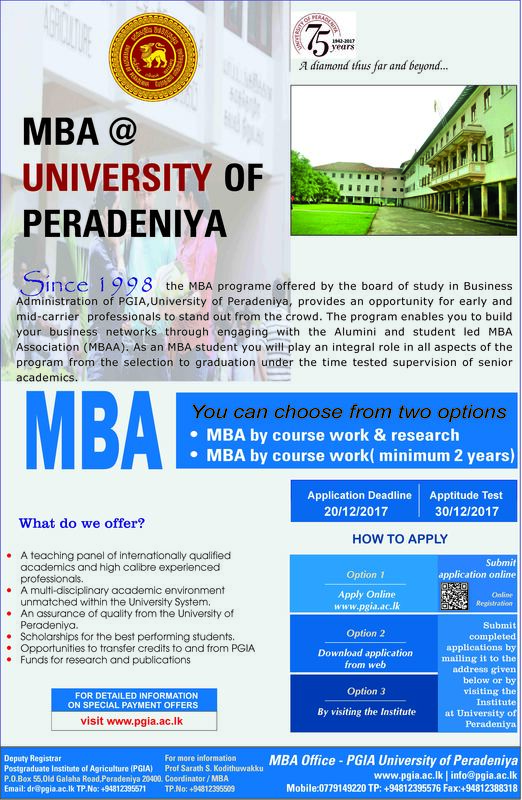 The Faculty of Medicine of the University of Colombo, Sri Lanka is now calling application for the Medical Degree Program for foreign students for the Academic Year 2018-2019. 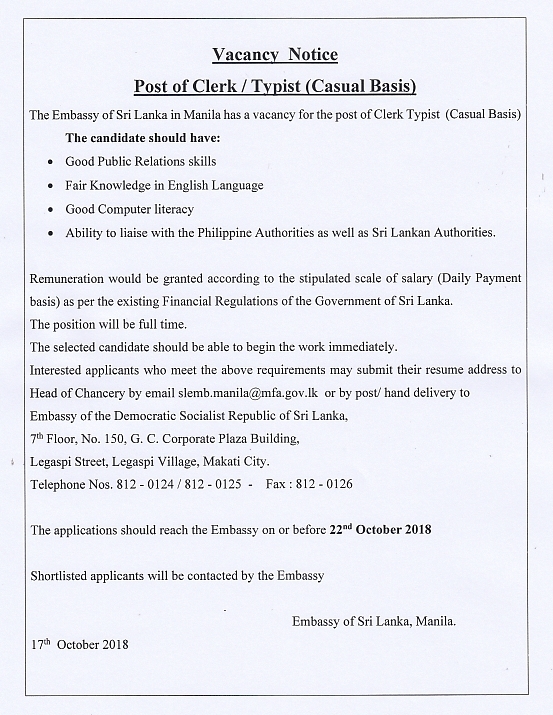 Closing date for submitting application will be on 28 April 2018. 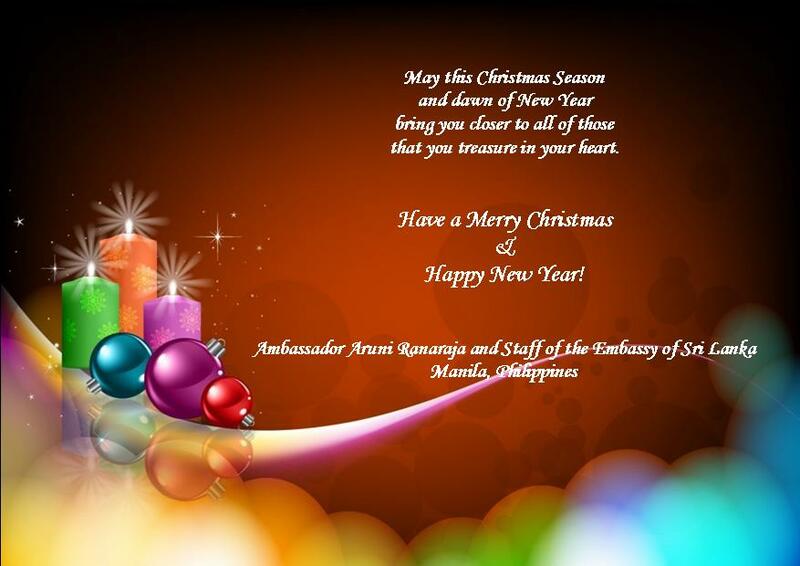 As a part of ongoing efforts to strengthen the integrity of the Passport issuance process, the Department of Immigration and Emigration of Sri Lanka has successfully introduced the mandatory collection of biometrics (fingerprints and digital face image) from Passport applicants and Automated Fingerprint Identification (AFIS) since 15th August 2015. 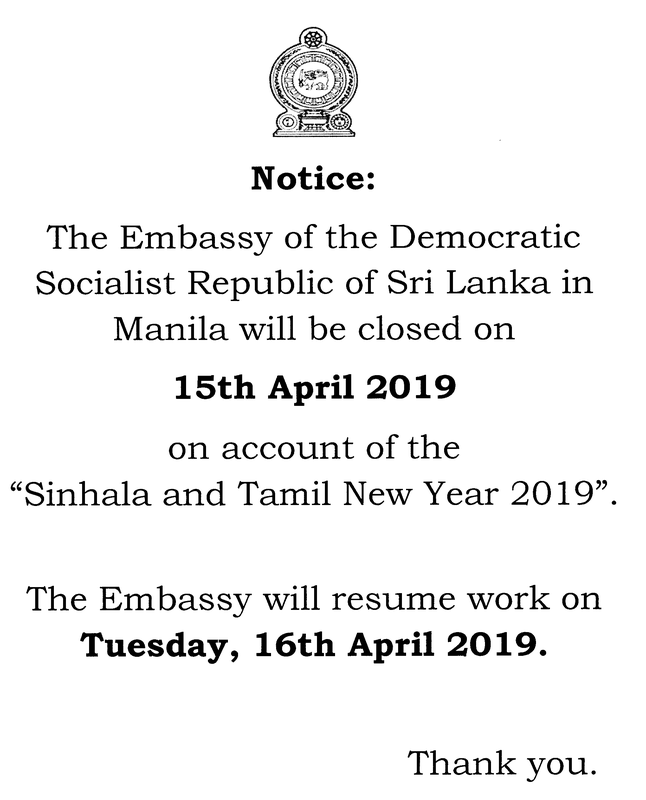 Further, the Department of Immigration and Emigration has now decided to extend the above system for Sri Lankans applying for new Passports via any Sri Lanka Diplomatic Mission overseas with effect from 1st January 2018. 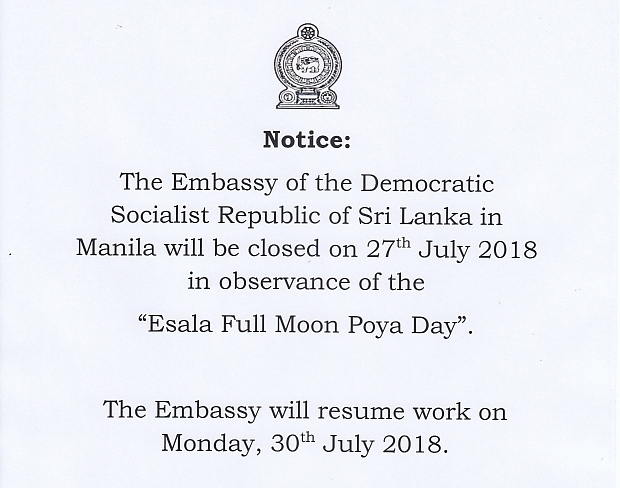 In this context, all Sri Lankans applying for new Passports through Sri Lanka Embassy in Manila with effect from 1st January 2018, will be required to provide their biometric information to the Department of Immigration and Emigration upon their first entry to Sri Lanka after obtaining their new Passports. The necessary facilities for collection of biometrics are available at the Head Office of the Department of Immigration and Emigration, through its island wide branches and at the Bandaranaike International Airport. 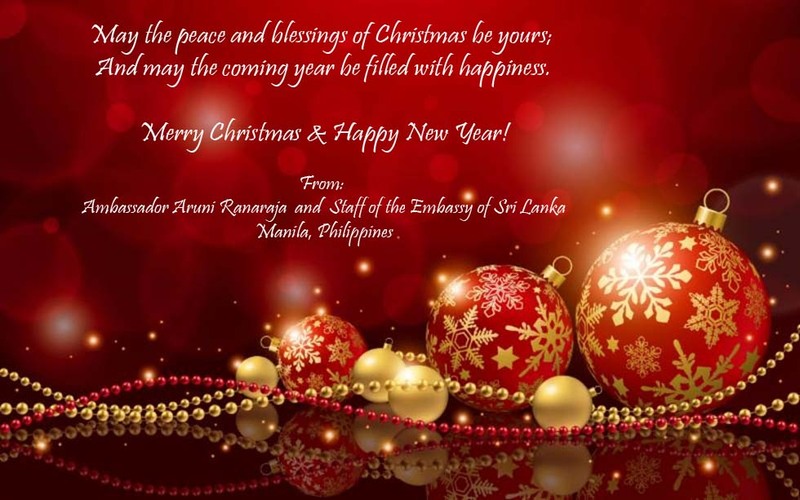 Ability to liaise with the Philippine Authorities as well as Sri Lankan Authorities in the sectors of Trade, Investments and Tourism Promotional activities. 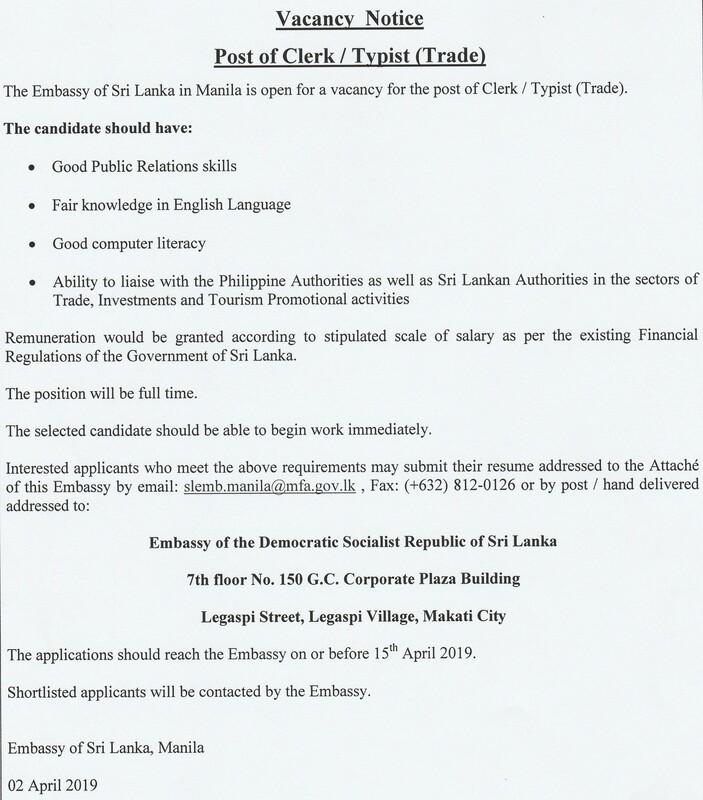 Remuneration would be granted according to stipulated scale of salary as per the existing Financial Regulations of the Government of Sri Lanka. The position will be full time. 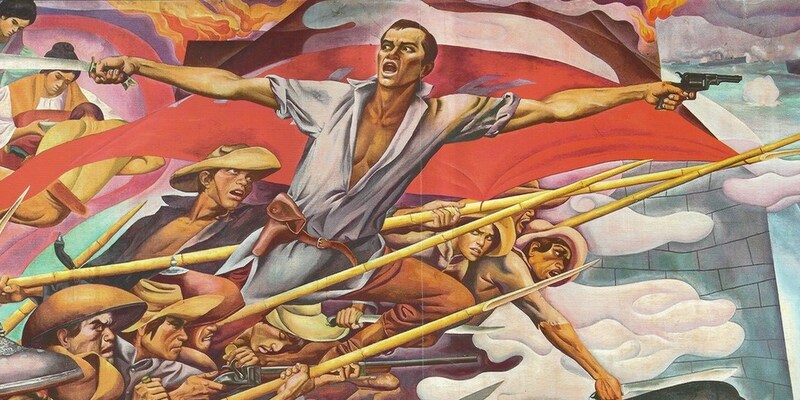 The selected candidate should be able to begin work immediately. 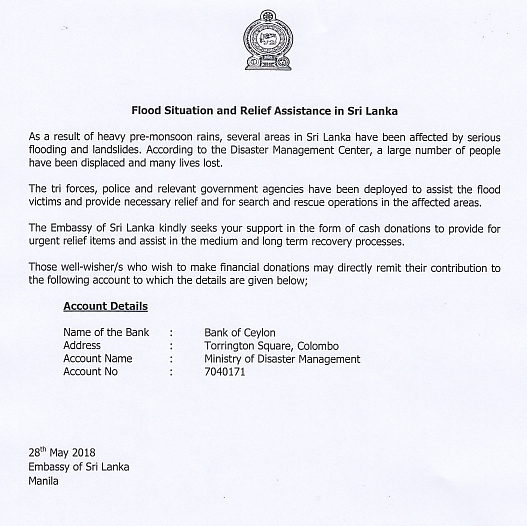 Further to our announcement under the title of Sri Lanka Appeal for Flood Relief Assistance. 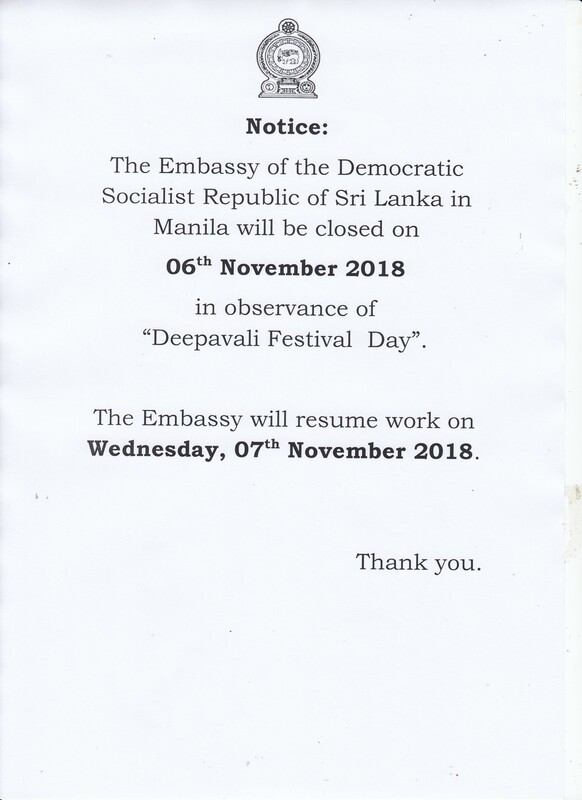 This is to inform you that the General Treasury in Sri Lanka has already opened a bank account at the Central Bank of Sri Lanka in the name of “DST’s Disaster Relief Fund” to collect donations remitted through five foreign currency bank accounts maintained at Sampath Bank, Sri Lanka. 02. 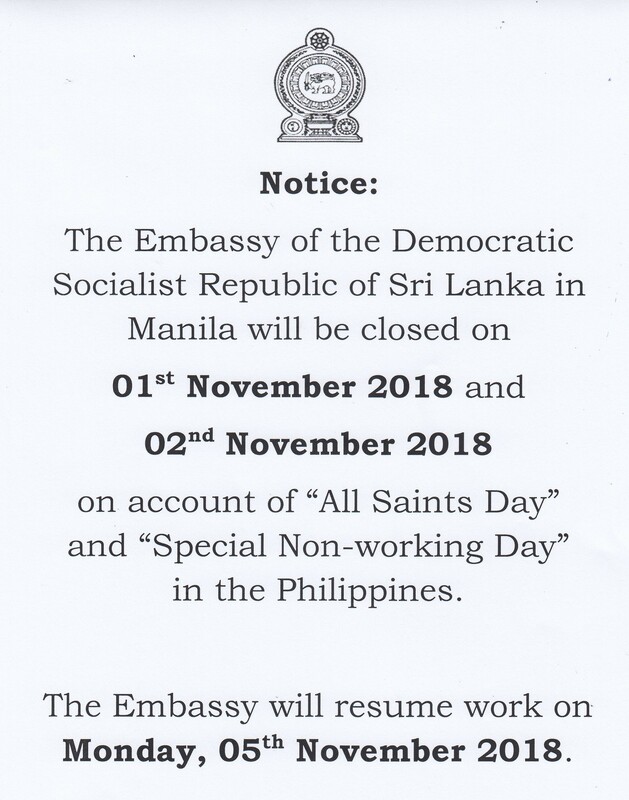 Those who are willing to make their donations in foreign currencies are also could remit their donations to one of the following accounts maintained at Sampath Bank, in addition to the Embassy’s account at BDO which was published in the announcement aforementioned. 03. 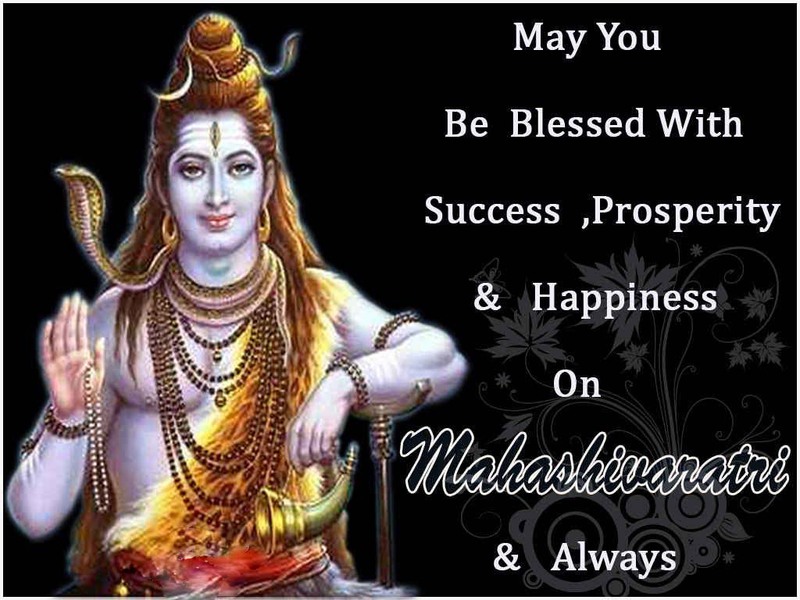 In addition, following information regarding cash donations have to be provided to the bank by the respective donor. 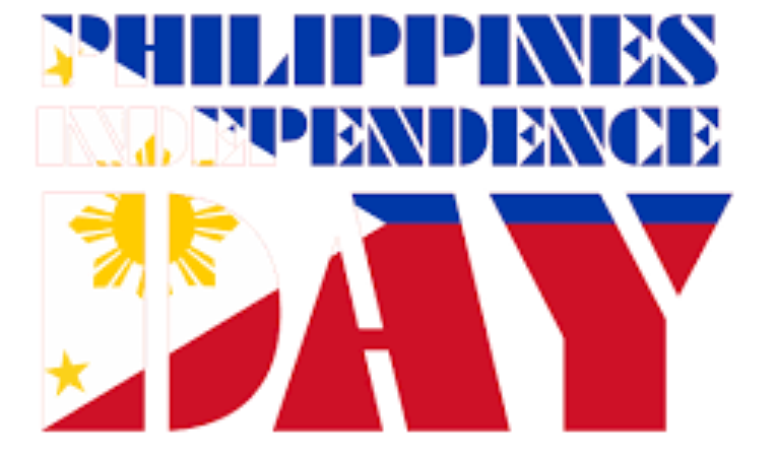 Ambassador and Staff of the Embassy wish all Filipinos a happy Independence Day! Due to heavy monsoon rains, several areas in Sri Lanka have been affected by serious flooding and landslides. 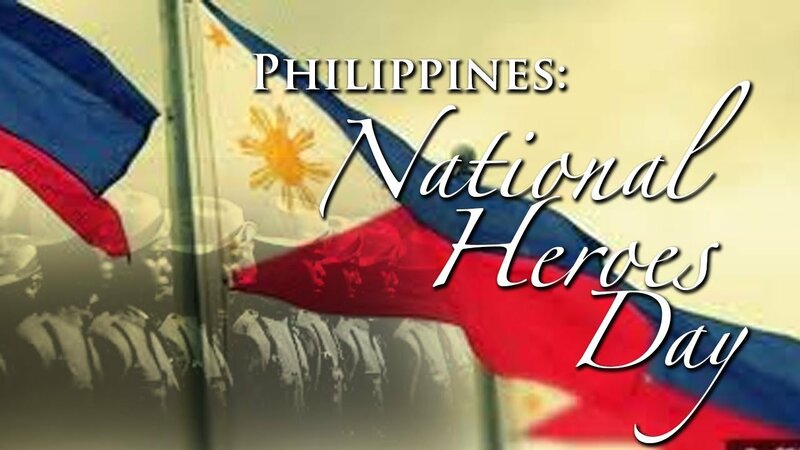 According to the Disaster Management Center (DMC), over 156 lives have been lost and more than 108 missing while 503,506 people have been affected. 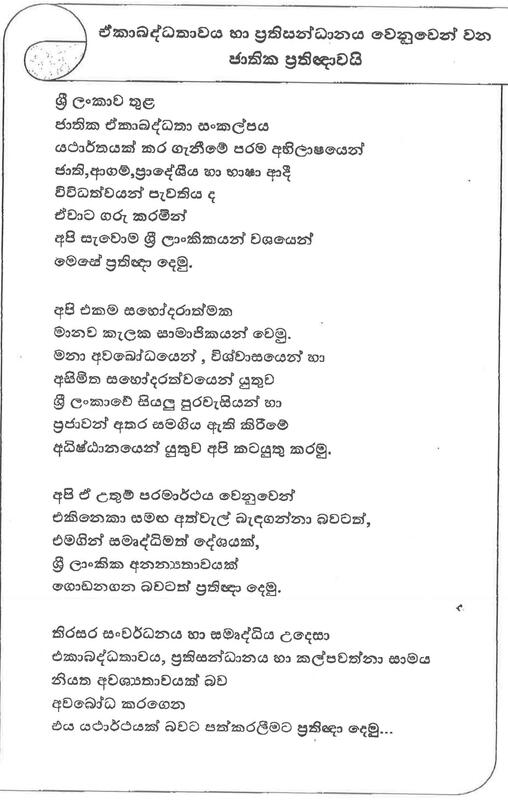 The districts of Kegalle, Rathnapura, Kalutara, Gampaha, Matara, Hambantota, Galle, Matale, Colombo, Kandy, Batticaloa, Nuwara Eliya,Trincomalee, Vavuniya, Mullaitivu have been the worst affected. The Emergency Response Unit of the Ministry of Foreign Affairs is coordinating rescue and relief measure in consultation with the Government’s Disaster Management Centre. The tri forces, police and relevant government agencies have been deployed to assist the flood victims and provide necessary relief and for search and rescue operations in the affected areas. 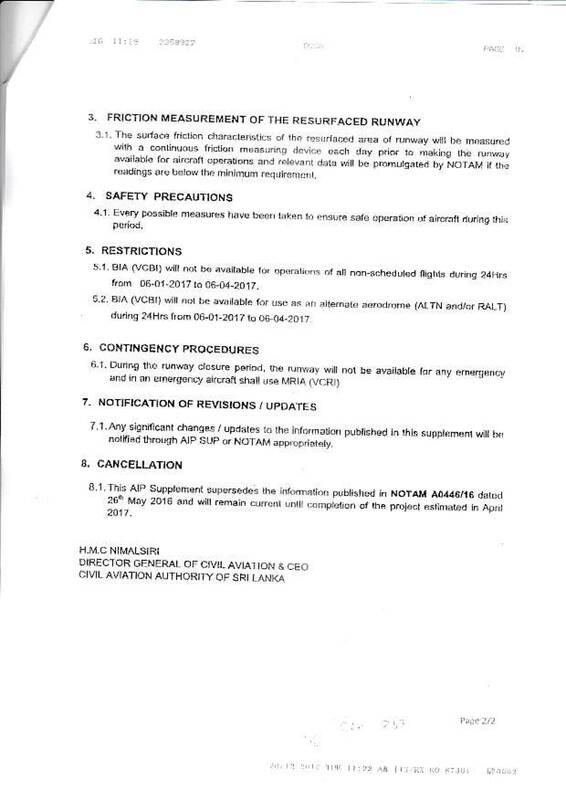 The latest updates on the situation can be accessed thru www.dmc.gov.lk . 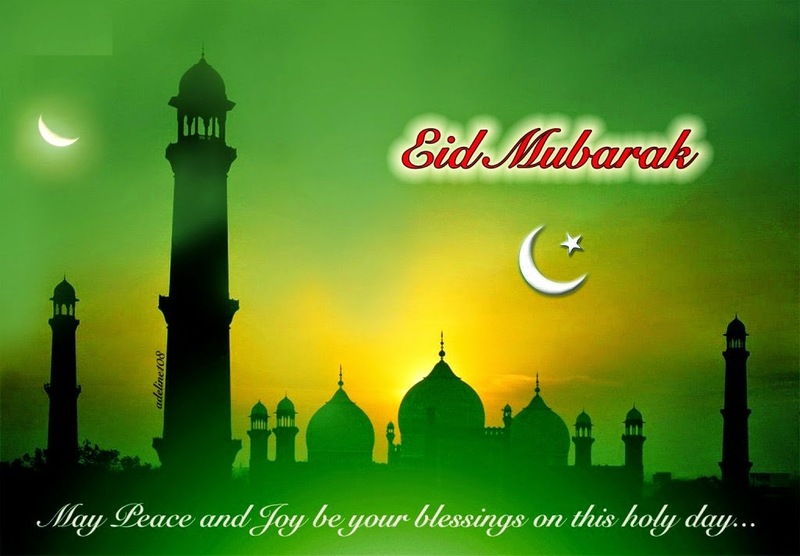 Sri Lankan expatriate community and well-wisherscan assist in bringing relief to the affected people by making in kind or monetary contributions. Monetary donations are encouraged, as it is more economical to purchase immediate relief items locally. 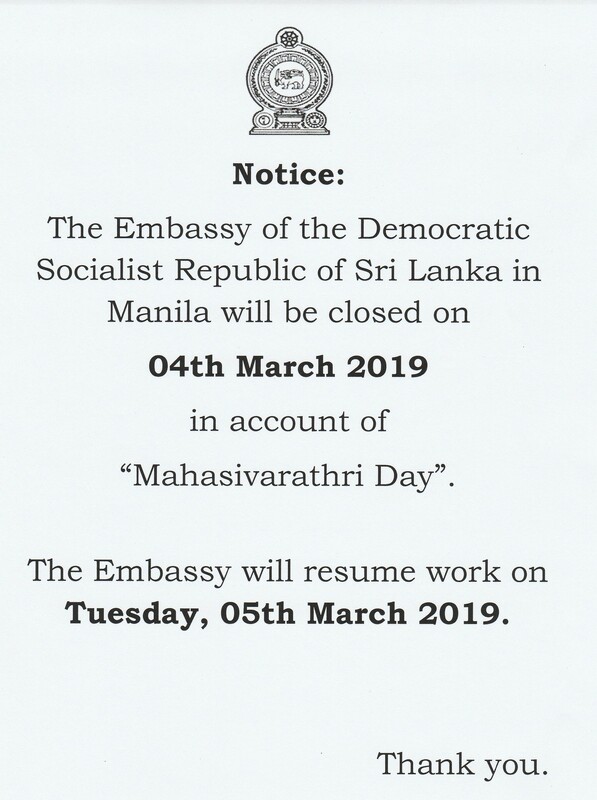 Please kindly note that the Sri Lanka Government is not in a position to bear the cost of freight for sending in kind reliefitems. 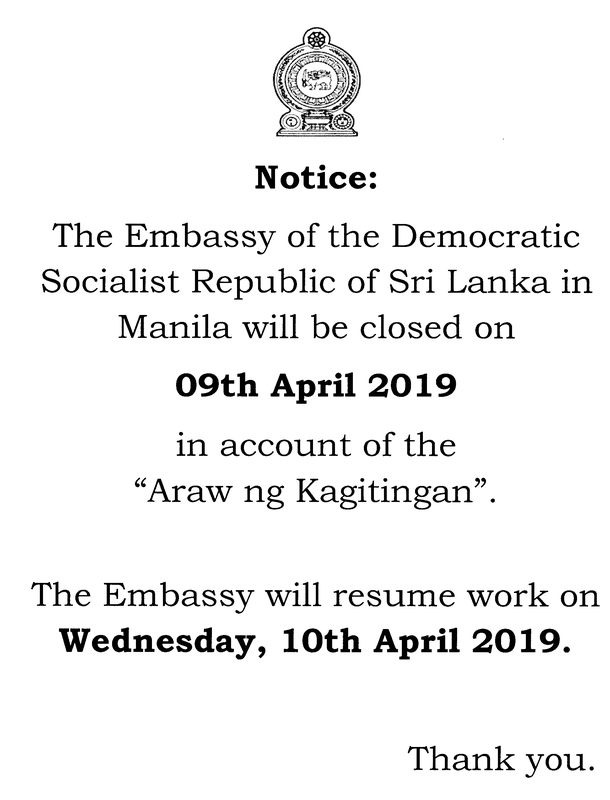 Donations can be made by cash or cheque in Philippine Peso or US Dollars payable to the Sri Lanka Embassy in Manila to which an official receipt will be issued under title “Contributions to Flood Relief”. Please send an email to slembmanila@pldtdsl.net with payment confirmation to facilitate the issuance of an official receipt. 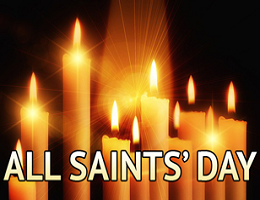 Your solidarity in this hour of need is greatly appreciated. 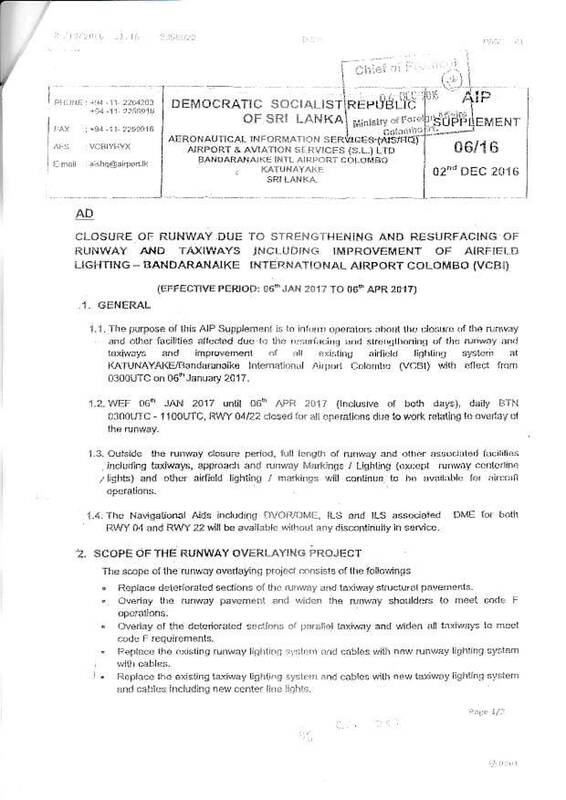 This is to inform all fellow Sri Lankans that in view of the 24th November, 2015, deadline set by the International Civil Aviation Organization (ICAO) for the phasing-out of non-machine readable Passports/Travel documents, the Philippine Bureau of Immigration shall no longer allow the entry of foreign nationals holding said types of travel documents in all international airports and seaports by 1st quarter of 2017. Further, Philippine Immigration Authority has informed that it will cease acceptance of non-machine readable Passports/Travel documents of all types (ordinary, official, diplomatic and/or service documents) from all visa applicants effective 01 October 2016, except for temporary travel documents designed for emergency situation as per ICAO guidelines.